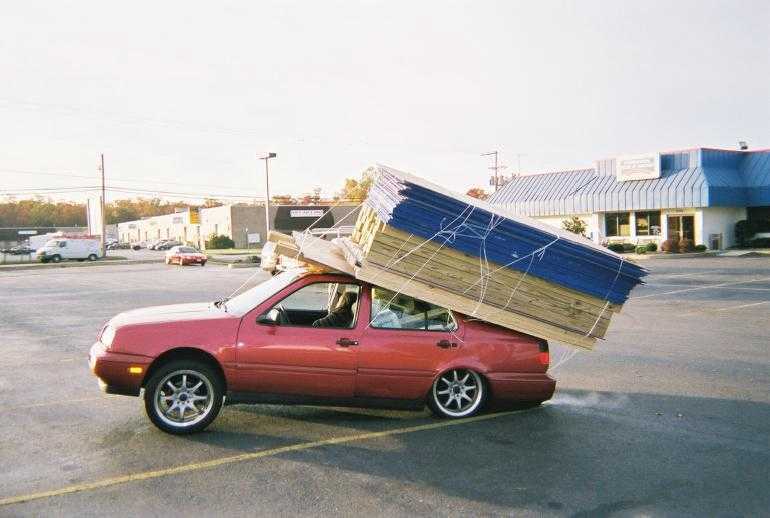 Register Log In ECN Forum Forums General Discussion Area OT: Too much on the truck? Looks to me like they got the trucks reversed..Always a good idea to put the smaller truck on the bigger one LOL. Try propping that big green monster up on the 4 x 4 lumbers. OK it's 5:00 here in my office and I finally got my laugh for the day! Iwire, Did you take that picture? That is one of the funniest "construction" pictures I have seen. I really wonder how far down the road it got with the twine tie down job. That one with the car has been around for years.